Virgil Abloh will be teaming up with MoMA (Museum of Modern Art), designed by Yoshio Taniguchi located in Midtown Manhattan in New York City, for an upcoming Nike Air Force 1 project. No specific details have been provided behind the design, but it appears to look much like an ordinary OFF-WHITE x Nike Air Force 1 Low collab. But this time dressed in Black with Metallic Silver accents. Not really sure how MoMA plays its part on the design aspect, but the shoe ties itself to the Museum of Modern Art on its box label. Stay tuned to Sneaker Bar for more updates. 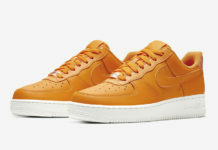 Look for the MoMA x Virgil Nike Air Force 1 ’07 to release in February at select retailers. The retail price tag is set at $200 USD. UPDATE: Detailed photos of the Virgil x MoMA x Nike Air Force 1 Low that’s currently available for resell over at Stadium Goods. 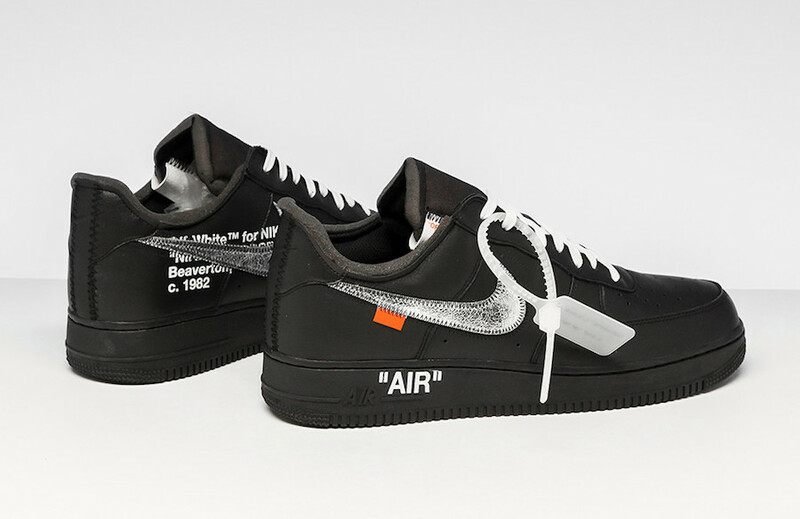 UPDATE: Originally debuting at 2016’s Art Basel, OFF-WHITE by Virgil Abloh for MoMA x Nike Air Force 1 in Black will be releasing soon as part of an upcoming exhibit at The Museum of Modern Art. Below you can check you Virgil personally design a pair for MoMA’s Senior Curator of Architecture & Design and Director of R&D Paola Antonelli. A pair of matching socks will also be included.